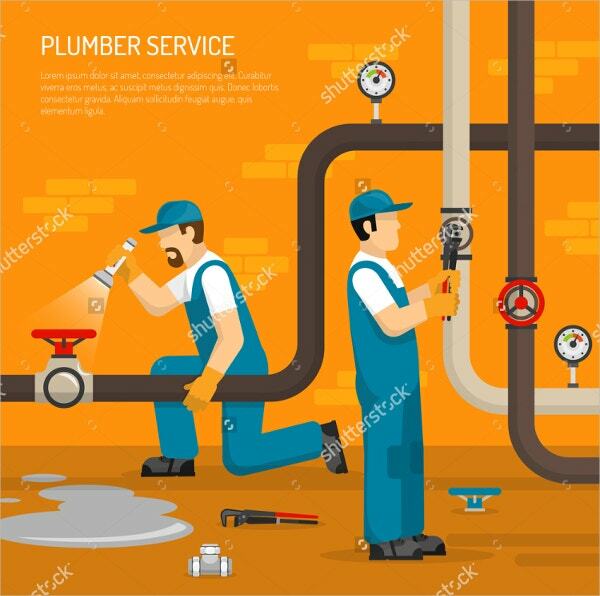 However, if your marketing is not so loud, you can rise above the cut progressively and become one of the most successfully growing plumbing business hubs in your region. 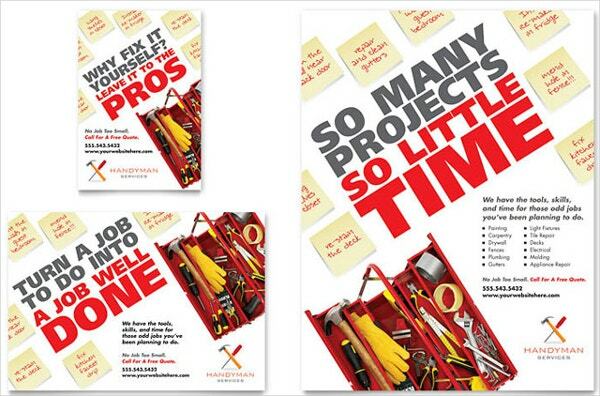 The best silent and direct marketing tools are the plumber flyers. 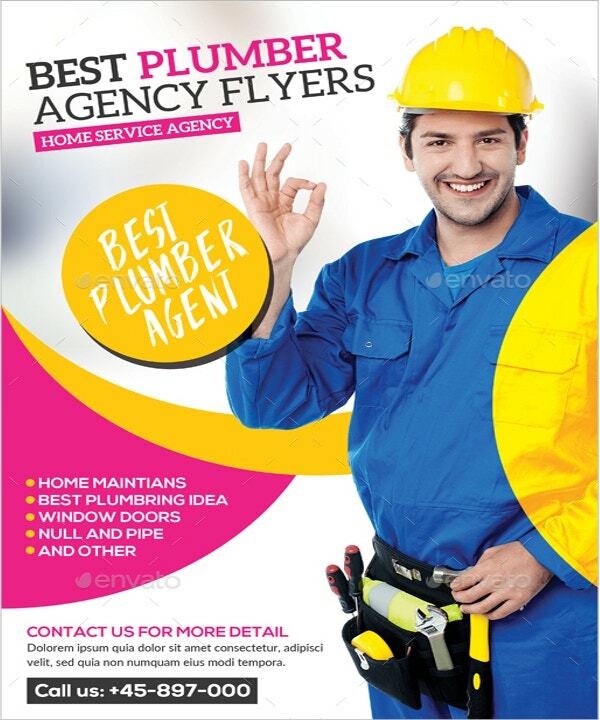 Following are the top flyer templates for plumbers. 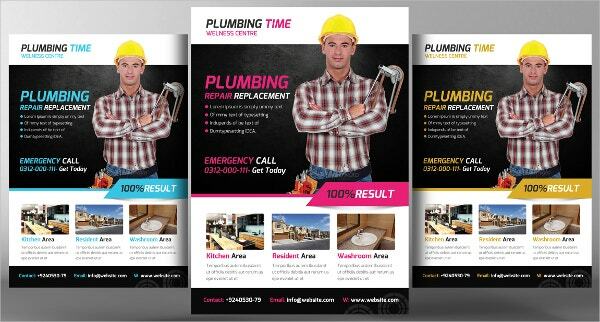 This is not just a cheap template, it is the best document for you to use to market your plumbing business. Features include high-quality replaceable images, commercial free fonts and high resolution of 300 DPI. 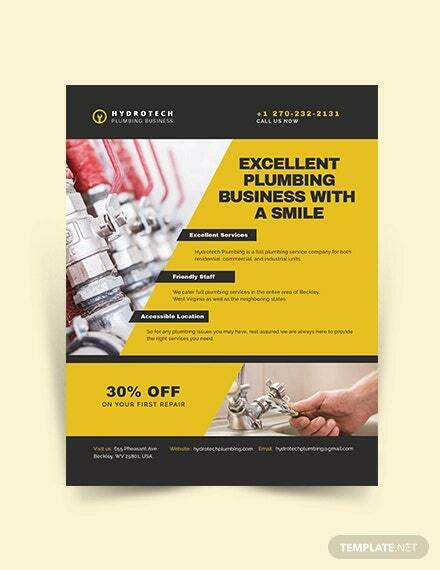 Buy this template for only $6 and use it to market your plumbing business. 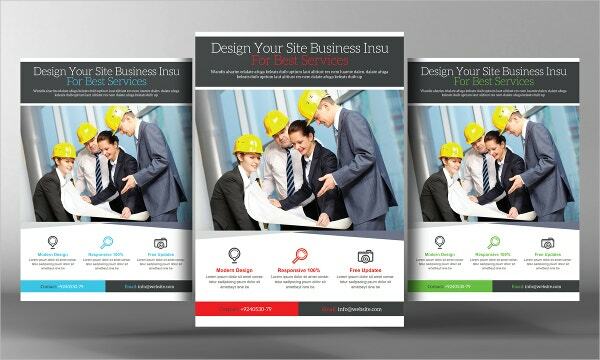 Then you can edit the template depending on your business’ needs. You can use the images or replace them if you want. 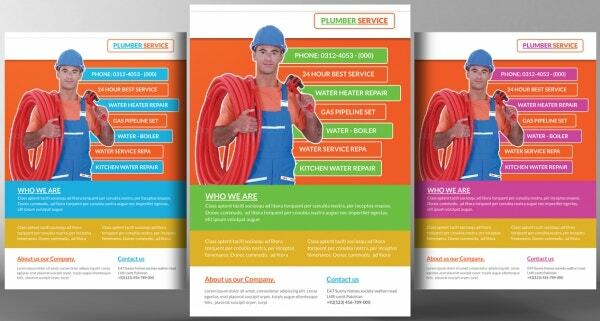 This template is a perfect document for marketing your plumbing business. Features include the eye-catchy background, commercial free fonts, and fully editable layers. Use this to market your skills. This template is the best for business promotion. 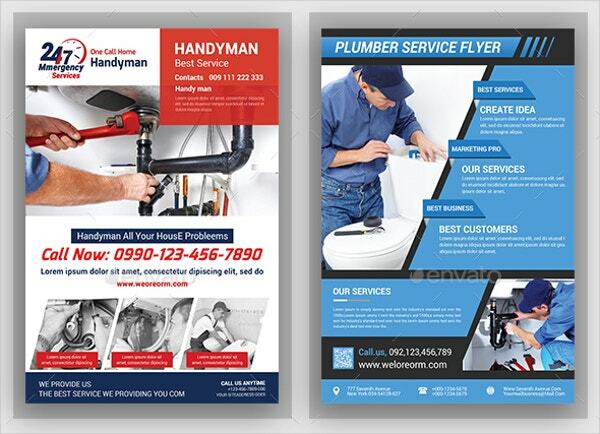 The template is a perfect direct marketing tool that you can use to tell people about your plumbing business. Write what you do, why you are good for the job, and your contact details, then share with target customers. All the images on this template are in the vector format, which means customizing them is not difficult at all. Additional features include fully layered PSD, CYMK colors, and 300 DPI resolutions. It is print-ready and fully editable. 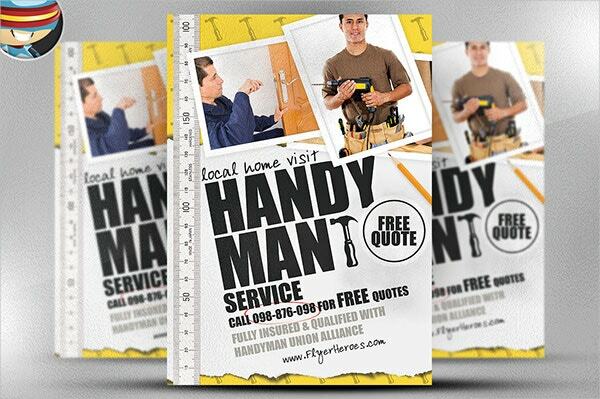 Are you tired of paying for magazine ads for handyman business promotion? 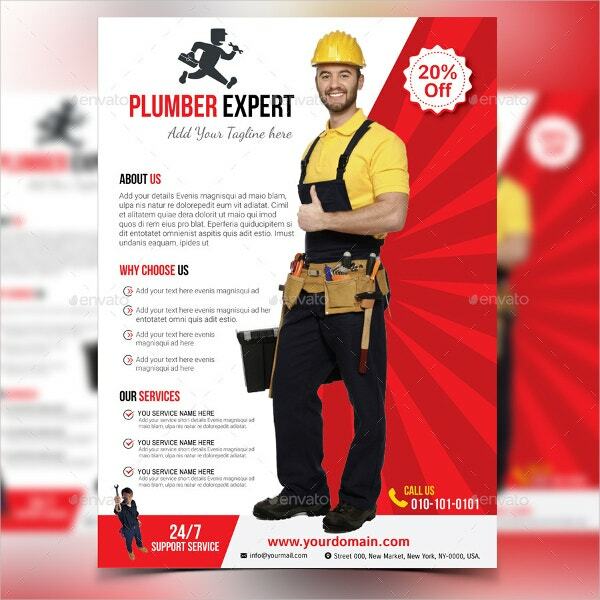 Use this Plumber template to create a custom, professional flyer for your business. 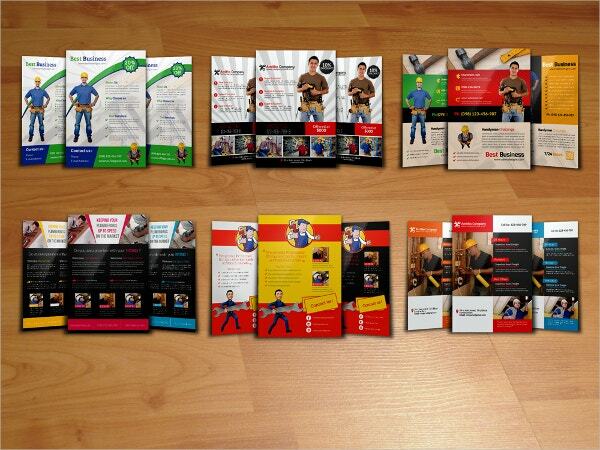 The template is easy to edit, so it should not take you long to prepare your flyer. 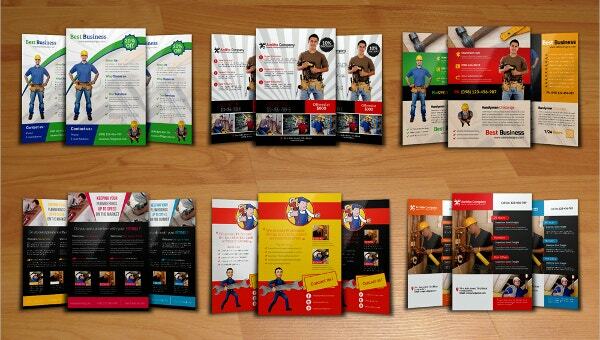 If you are looking for a high-quality vector flyer that you can use immediately after download, this is the perfect document to use. There is no need to replace the vectors; just replace the text and use the template for your ads. 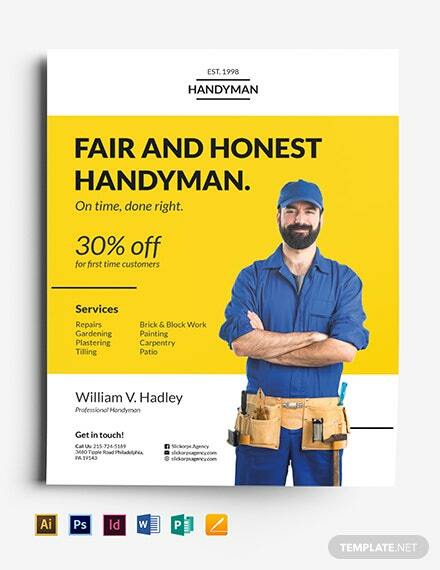 This is an excellent template for marketing your handyman job. 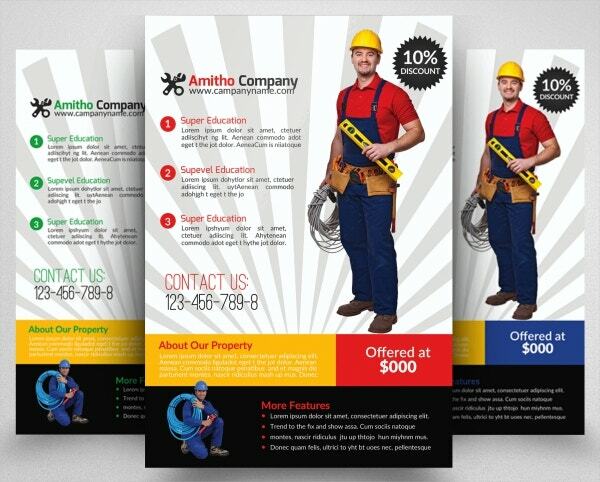 It is not just fancy in the terms of looks, layout and design, it is also the best document you need to create appealing and high-quality business ads. 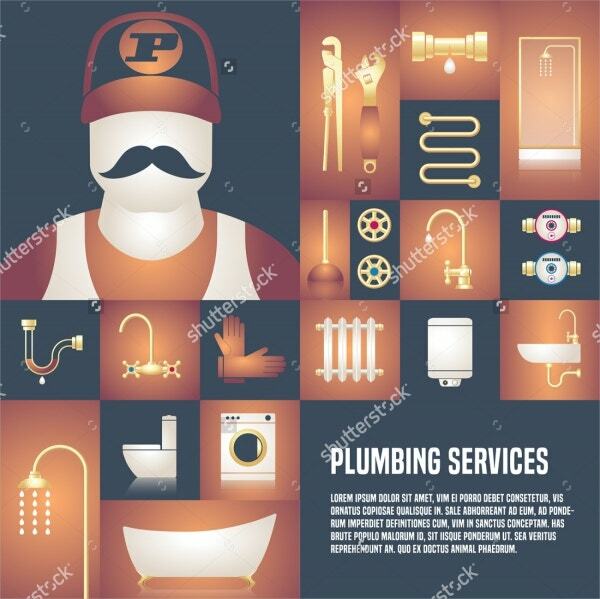 Forget about internet marketing and social media promotion; this template is all you need to spread the word about your plumbing services. In fact, it would be great to do direct marketing as opposed to internet promotions. Are you a master in plumbing? Do you want to take the market by storm? You can use this template to market yourself. The document is a CYMK color, high-resolution template that you can edit in the shortest time possible. 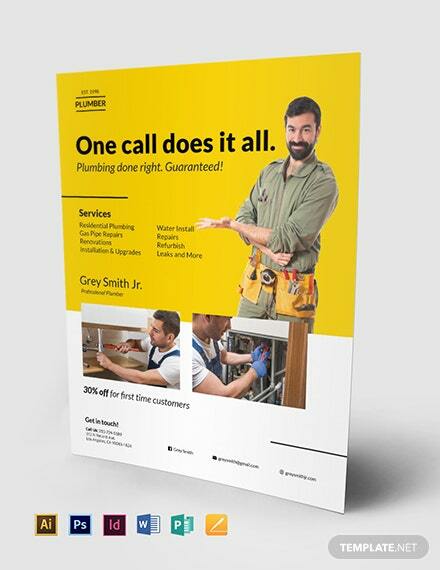 Whether you are a sole businessperson or you own a plumbing business company, this template is your best bet marketing tool, to say the least. Features include CYMK color mode, high-resolution, commercial free fonts, and easy customization. 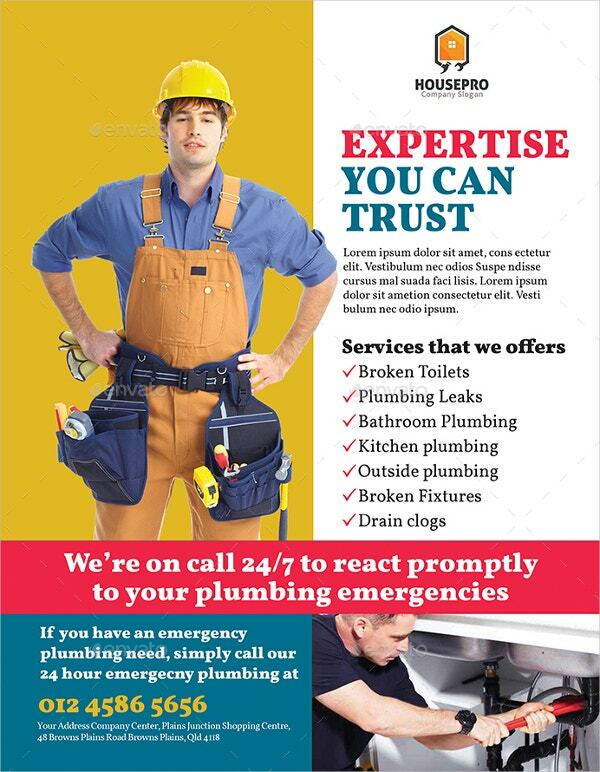 Do you want to do some serious plumber service advertisement? 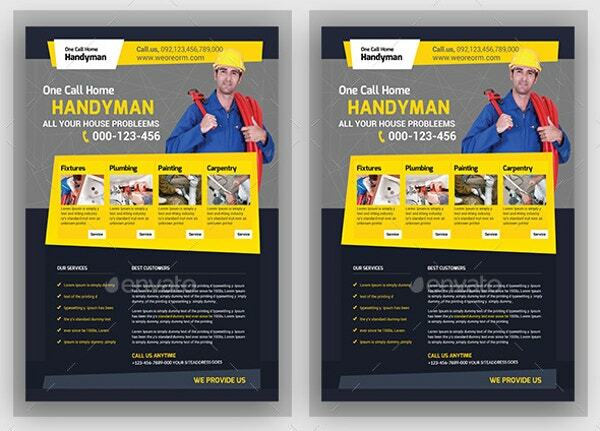 It is best to use a high-quality template for the advertising. It is cheap, easy to edit, and readily available for customization. 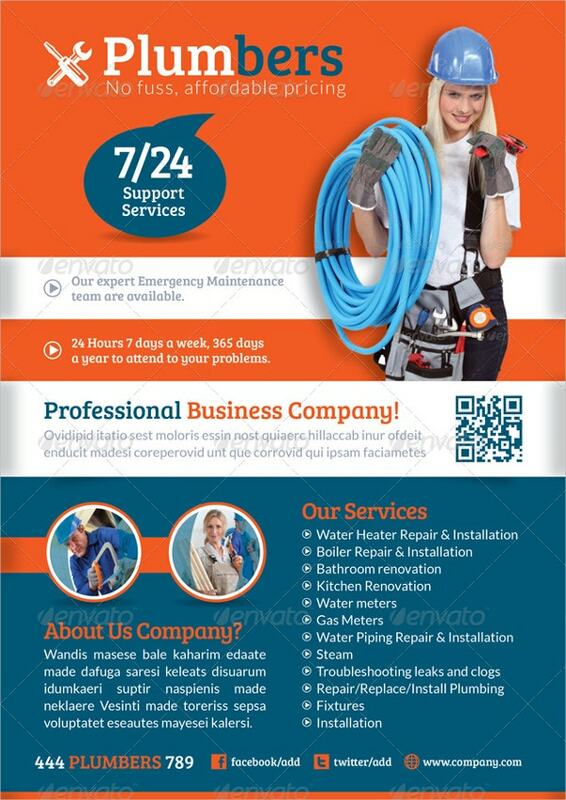 The bundle is great for marketing your plumbing services, either as an individual handyman or a company providing reliable and trustable services. You should edit the template in Adobe CS5. 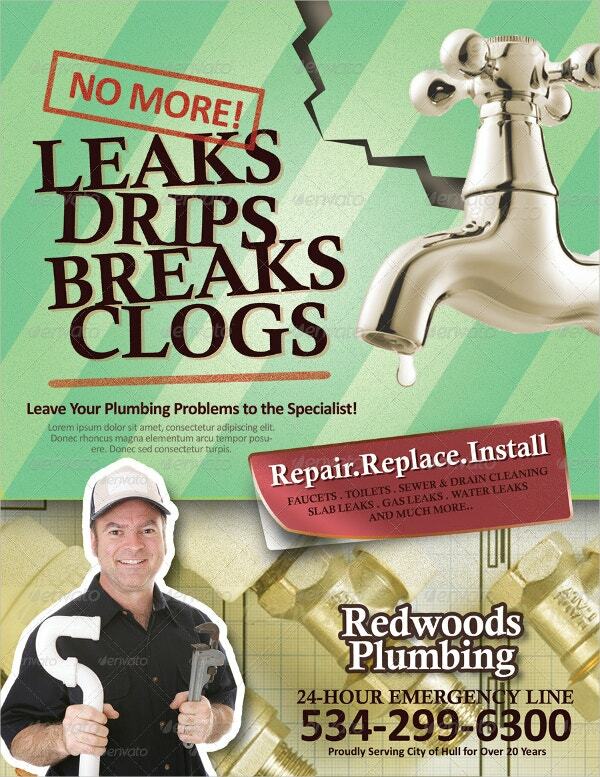 This flyer is a great template for marketing your plumbing business to a target market. It is colorful and the features include CYMK color mode, commercial free fonts, and replaceable images. This is a five-start, easy-to-edit Photoshop Document. 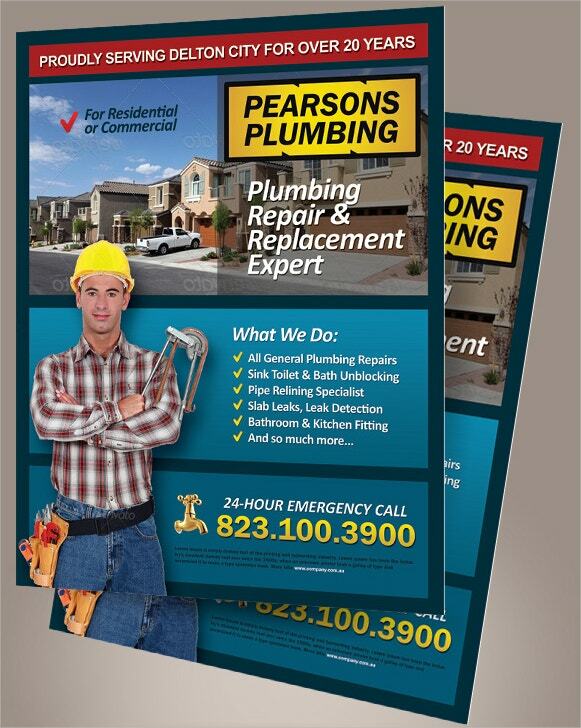 You can edit and use to market your plumbing business directly to customers. It is easy to edit; just replace the text and images with your own. 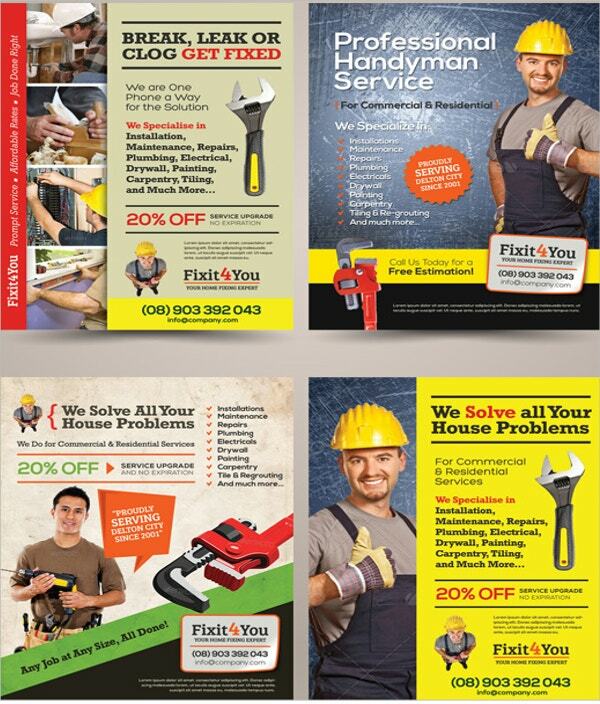 One of the reasons why you should use the flyers for plumbing business marketing is their cost effectiveness. About 98% of these templates cost less than ten bucks, which means they won’t run your wallet dry. Moreover, they are easy to edit and customize, which means you can complete creating your ads in the shortest time possible.